RANK FOR TWO KEYWORDS ON ONE PAGE? 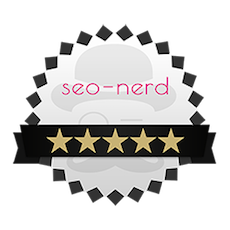 seo-nerd® → News → RANK FOR TWO KEYWORDS ON ONE PAGE? 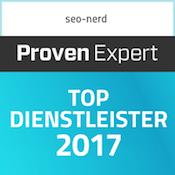 Ranking with two keywords (or more) on one page is no problem. The requirement is that both keywords match the topic of the page. This fact, already known in SEO circles since 2005, has now once again been confirmed by Google employee Aaseeh Marina in the Webmaster Central Help Forum. SEO-tools such as the popular Yoast-SEO plugin for WordPress users require you to enter only one keyword (or a keyword phrase respectively a Long-Tail keyword) per page. Afterwards the plugin checks if this one keyword occurs frequently enough (keyword density – should be between 0.7 and 2.5%) and whether it is placed correctly (in h1, in another subheading and in the first paragraph of the article). The plugin is quite useful. However, you only check if your site meets the minimum requirement to be able to rank for at least one keyword. At this point it is worthwhile to think briefly about what the term “to rank” is actually aiming for. SEOs always speak of rank when it comes to a high ranking (top 10) in the search results page (Search Engine Result Page, abbreviated “SERP”). Because only a high ranking ensures enough traffic from Google (or another search engine) to a page. It is not enough to concentrate on a single word to plan the text. Your focus keyword should symbolize the topic you are discussing on your site. It stands pars pro toto for the “whole”. If copywriter would only ever care about the display of the selected focus keyword, there would only be pages with thin content on the web. Most of the questions would remain unanswered. Users would have to click through several pages before they have all the answers they are interested in the topic. The architecture of the domain suffers from this. It would be inflated by an almost endless number of undersides. It is therefore always right and important to consider, which topic is behind a keyword. 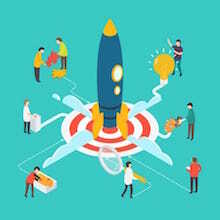 In order to avoid the danger of one-sided, for users unhelpful texts, the SEO experts at MOZ have long recommended creating websites along a content plan. In Anglo-American SEO-speech, the term “niche keywords” is often used for this. The “market niche” or “niche” means, that keywords that are thematically linked have to be bundled together. Together they form a thematic niche. Timo Soulo from offpage specialist ahrefs was able to show how successful this approach is, in a study in which he examined 3 million search queries. Result: Pages which ranked with a keyword at position 1 in the top 10 usually rank for two keywords and more. Most well ranked pages bring it to two to nine additional keywords, each with a search volume of up to 1000 search queries per month. 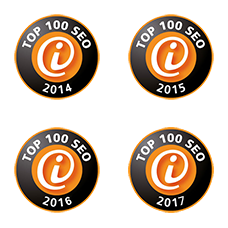 Only for very popular search terms with a volume of more than 10.000 search queries per month it’s difficult to rank with more than one such highly searched keyword. Who wants to know with which terms users search for the offers or information, which one wants to present on the side, does not come past a keyword tool. The keyword planner from Google AdWords is a reliable tool. 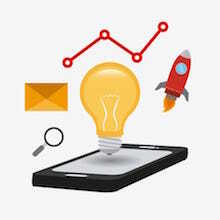 The tool provides advertisers with ideas for keywords and informs them about how often users search for these keywords on Google on average per month. Although SEOs like to use the keyword planner, it is only intended for AdWords customers and therefore cannot be used free of charge. The search volumes elementary for the keyword decision are only displayed to those who actually book ads with AdWords. The Google Market Finder provides an at least small alternative with numbers to the most important keywords. In the linked article, seo-nerd® wrote down for you how you use it (text only in german). If you want to find longer keyword phrases and keyword variants, you should simply enter the keyword on Google. In the search slot you will see several terms that other users have already searched for together with the entered keyword (see photo). A list of similar search queries for the keyword (“Google Suggest”) can always be found at the end of the SERP. If you are looking for keyword phrases in several parts, we recommend the KeywordTool.io. However, the tool also shows you the search volumes here only in the paid version. The Answerthepublic tool is also helpful in finding ideas. It lists W-questions that are relevant for your keyword; for example: “Why are keywords so important” (you should find the answer easier with this text). In the next step, you create a content plan from the suitable keywords and keyword phrases frequently searched for the topic. In addition to the focus keyword, it should always contain several other relevant keywords and keyword phrases. Ideally, the list of these keywords shows how the later text will be knitted. TIP: the two keywords (or more) for which you want your page to rank additionally, are best used in an h2 as a subheading.